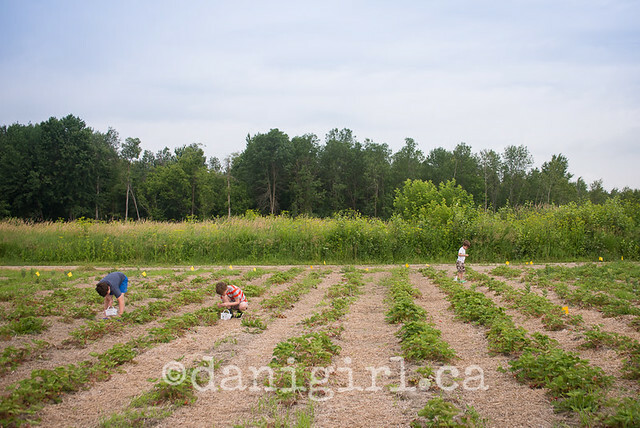 If you’re looking for something fun to do with the kids around Ottawa sometime in the next few days, I highly recommend a wee adventure at Rideau Pines Farm for berry picking. 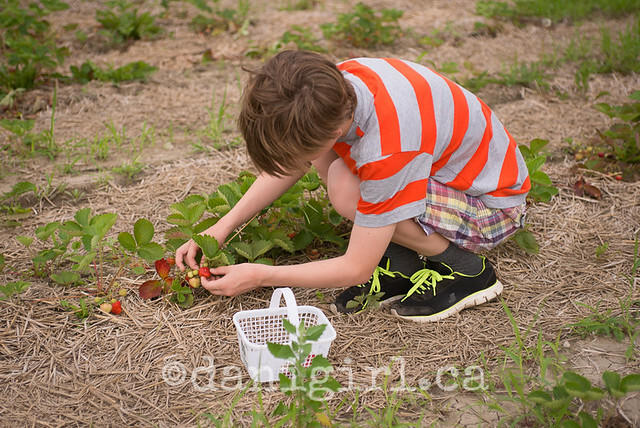 Although we’ve gone on excursions to pick apples, pumpkins and even Christmas trees, we have never yet managed to go strawberry picking, although I have been intending to do it with the boys for years. 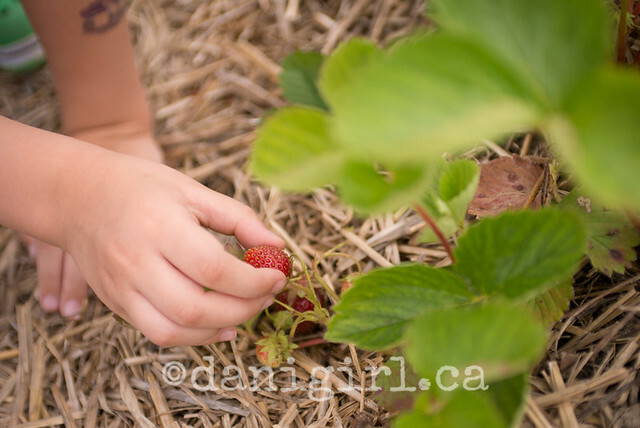 In fact, I have never been strawberry picking and so was not exactly sure what to expect. Since Friday was a rare clear and warm (albeit sticky and humid) day, I was afraid it would be terribly busy and I was also worried it might be swampy after all the rain we’ve had. I was wrong on both counts. After a goodly wander to the furthest field in the farm, we had the place to ourselves. One of the farm hands warned us that it was toward the end of the season and the berries weren’t as plentiful, but I can’t imagine how it must have been before because we had no trouble founding a bounty of berries to pick. We also inspected a few other familiar crops, like runner beans and squash and tomatoes and our new favourite, kale! 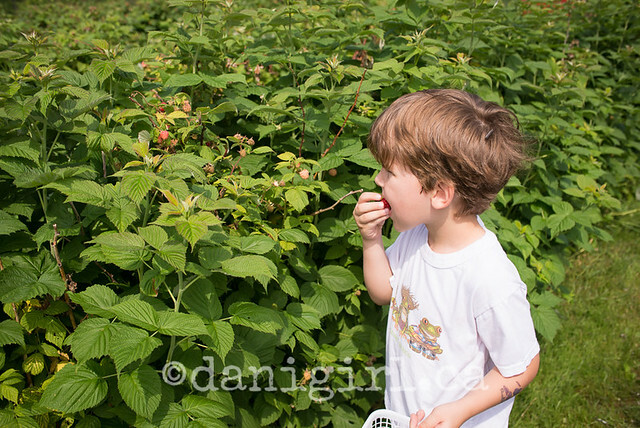 And on our way back we picked a few currants and raspberries, too! In addition to our investment of $4 for two pints (give or take) of strawberries, we bought some new potatoes that went perfectly with a little garlic scapes for dinner. They have all sorts of other fruits, veggies and honey in season throughout the year. 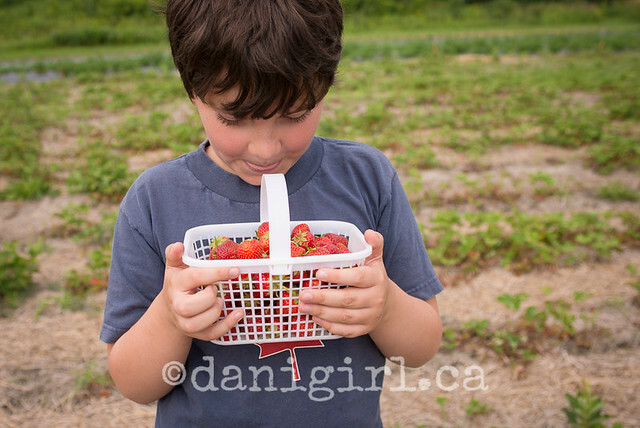 I’m sure there are lots of great places to pick strawberries around Ottawa, but we were deeply charmed by Rideau Pines Farm, and we’ve found a new summer adventure to repeat every year. 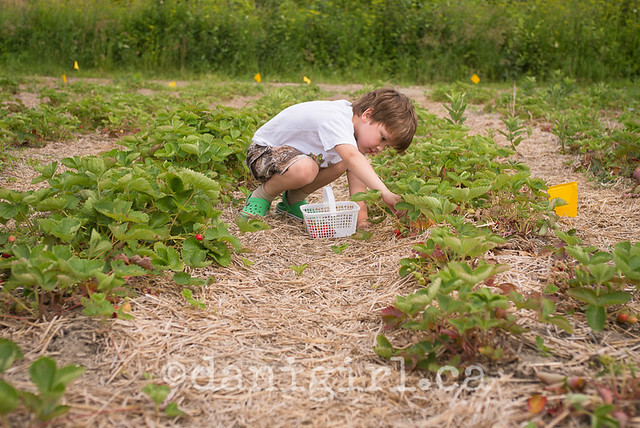 Their website suggests you call ahead before you visit to make sure there are still berries to be picked. The number is (613) 489-3601.